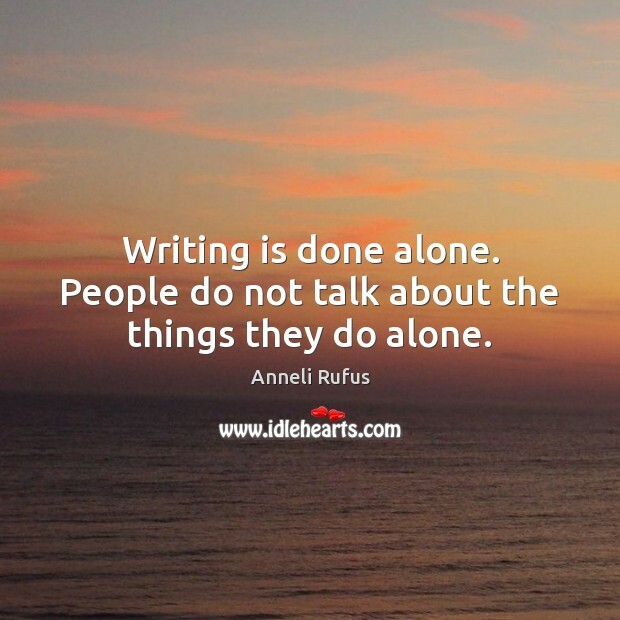 Enjoy the best inspirational, motivational, positive, funny and famous quotes by Anneli Rufus. Use words and picture quotations to push forward and inspire you keep going in life! Not that I was incapable of friendship. 'Don't be shy', the teachers coaxed. I was not shy, only extremely choosy. 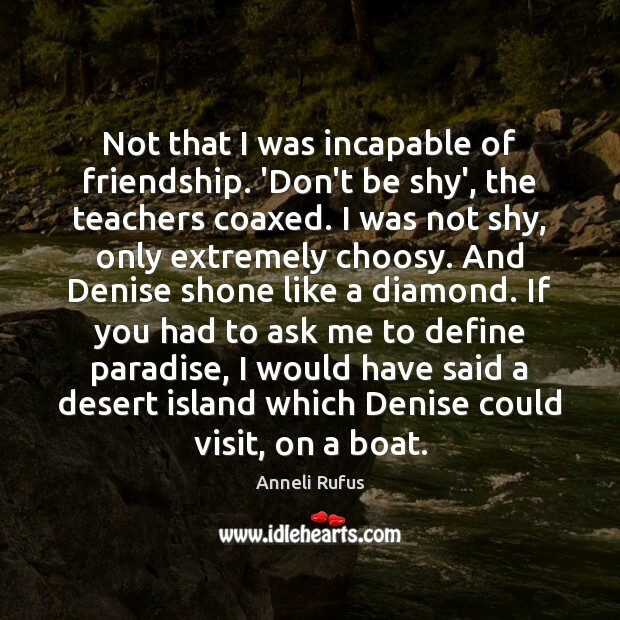 And Denise shone like a diamond. If you had to ask me to define paradise, I would have said a desert island which Denise could visit, on a boat. 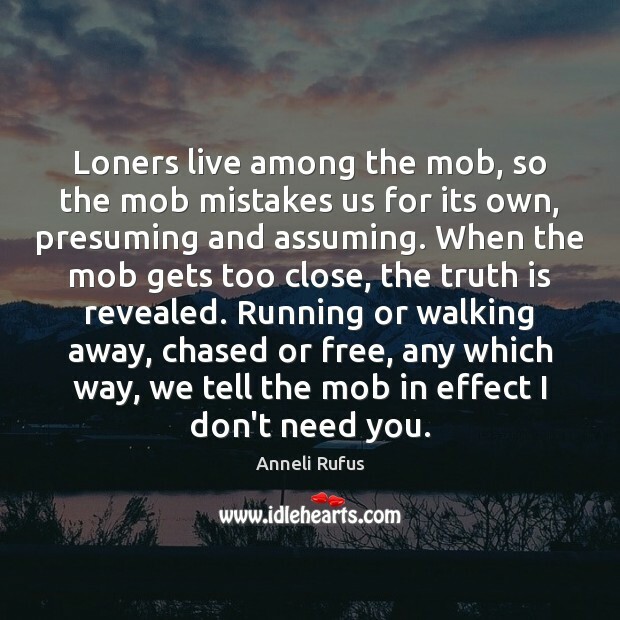 Loners live among the mob, so the mob mistakes us for its own, presuming and assuming. When the mob gets too close, the truth is revealed. Running or walking away, chased or free, any which way, we tell the mob in effect I don't need you. 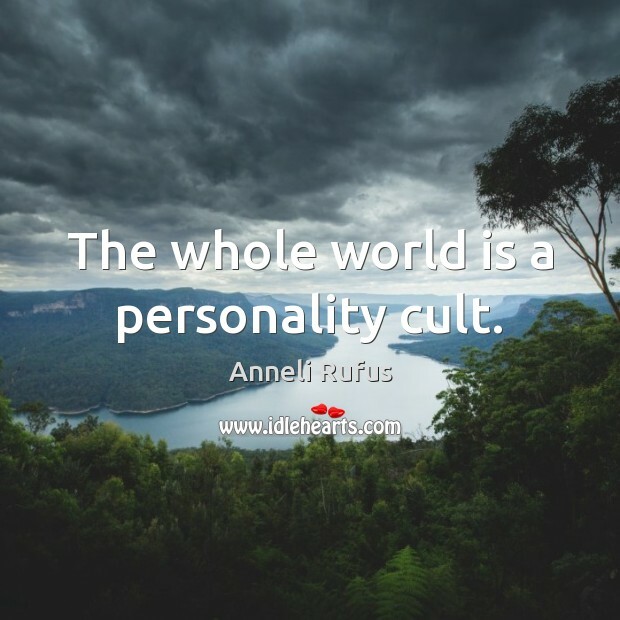 The whole world is a personality cult. We do not require company. In varying degrees, it bores us, drains us, makes our eyes glaze over. 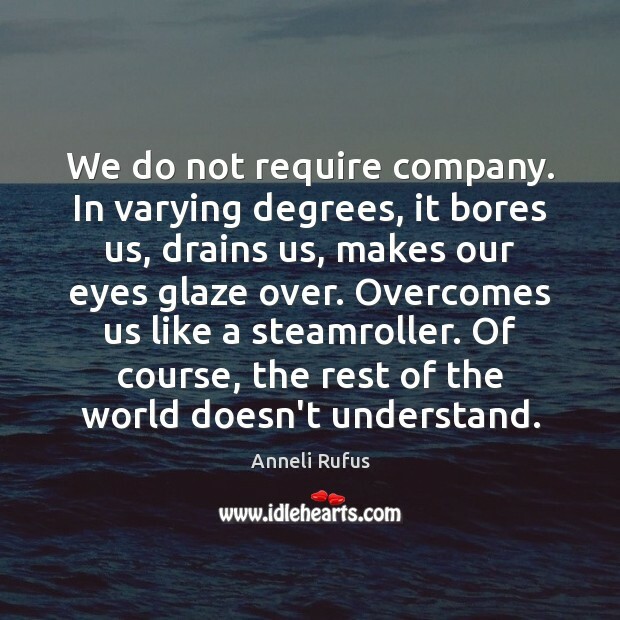 Overcomes us like a steamroller. Of course, the rest of the world doesn't understand. Writing is done alone. People do not talk about the things they do alone. We care. We feel. We think. We do not always miss the absent one. We cannot always come when called. Being friends with a loner requires patience and the wisdom that distance does not mean dislike. And as experienced as I am, it still summons an act of bravery from me, and I like that. 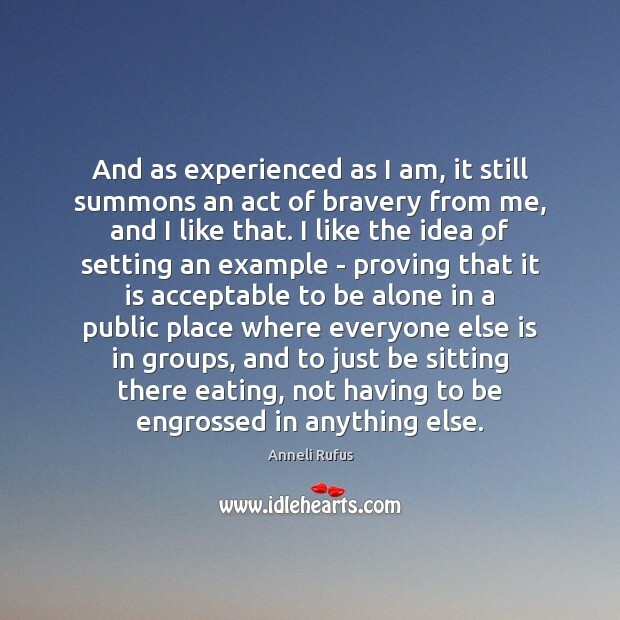 I like the idea of setting an example - proving that it is acceptable to be alone in a public place where everyone else is in groups, and to just be sitting there eating, not having to be engrossed in anything else. 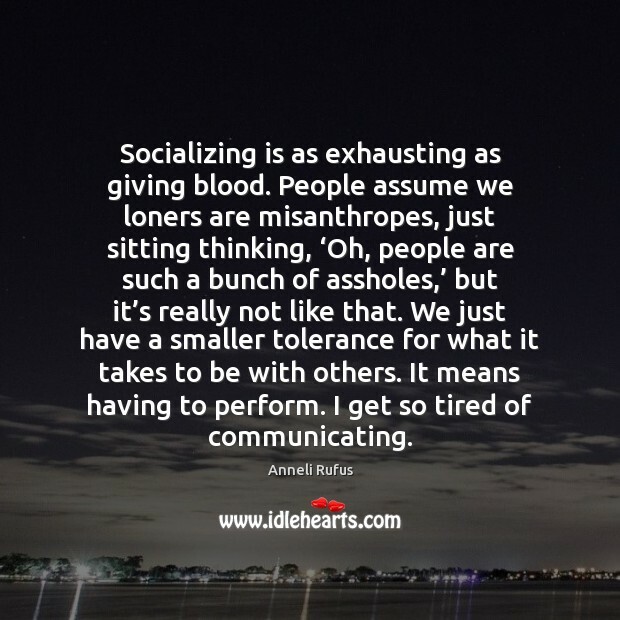 Socializing is as exhausting as giving blood. People assume we loners are misanthropes, just sitting thinking, ‘Oh, people are such a bunch of assholes,’ but it’s really not like that. We just have a smaller tolerance for what it takes to be with others. It means having to perform. I get so tired of communicating. 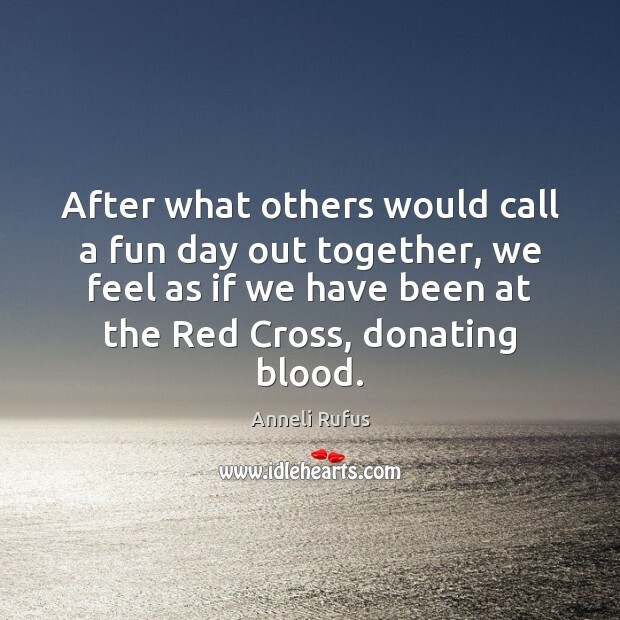 After what others would call a fun day out together, we feel as if we have been at the Red Cross, donating blood. 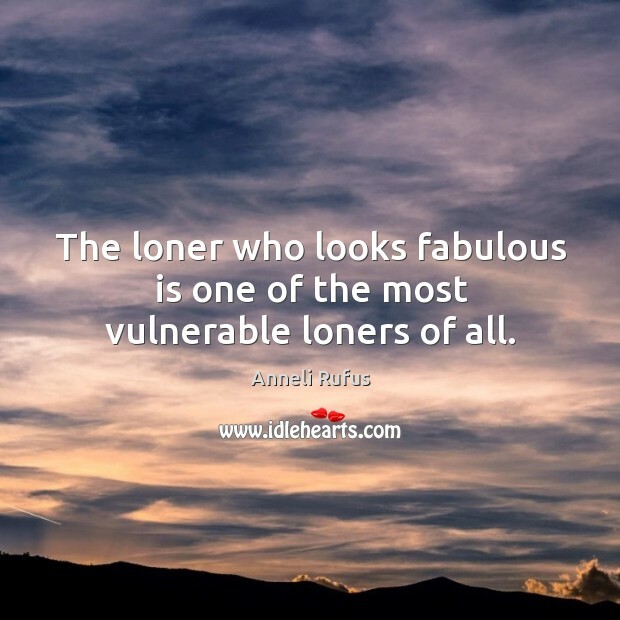 The loner who looks fabulous is one of the most vulnerable loners of all.